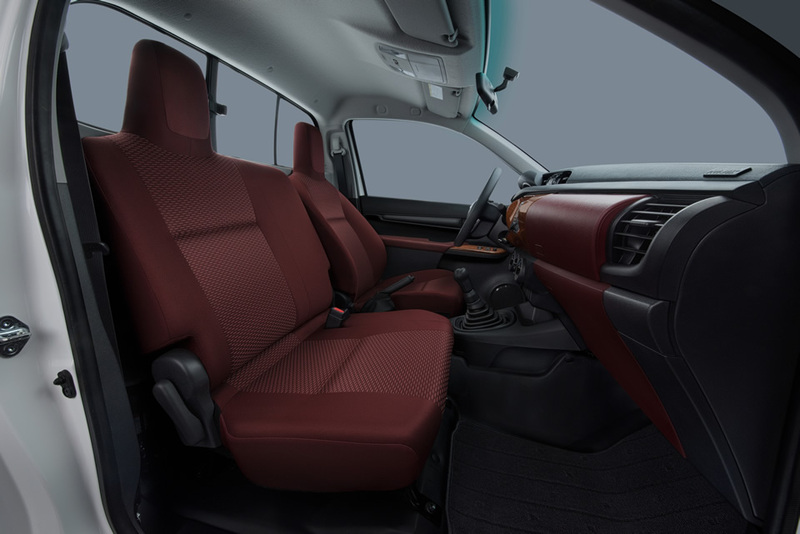 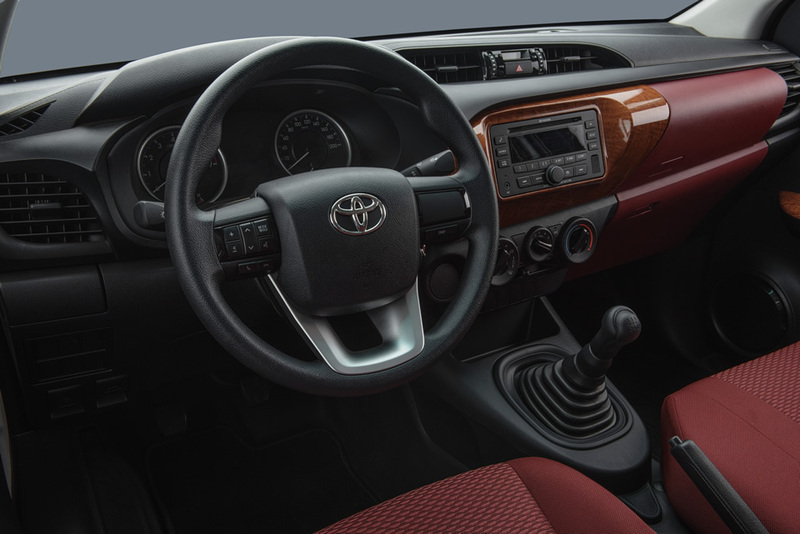 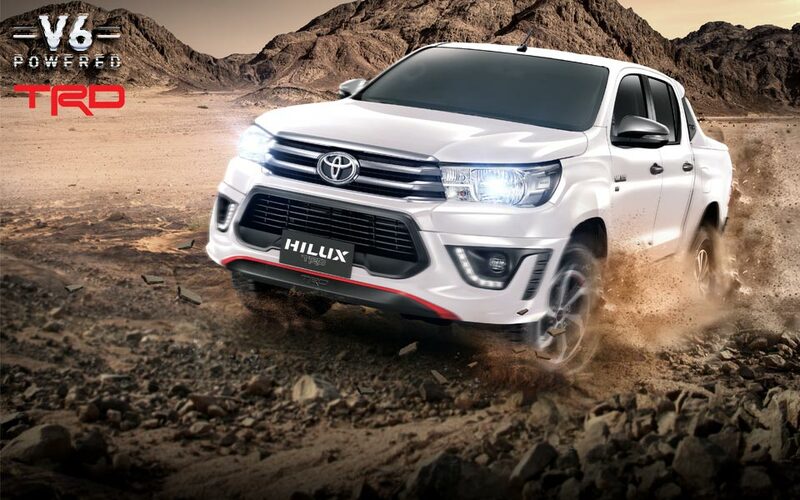 Say hello to the all-new Hilux, conceived for more comfort and to be a better drive than ever before. 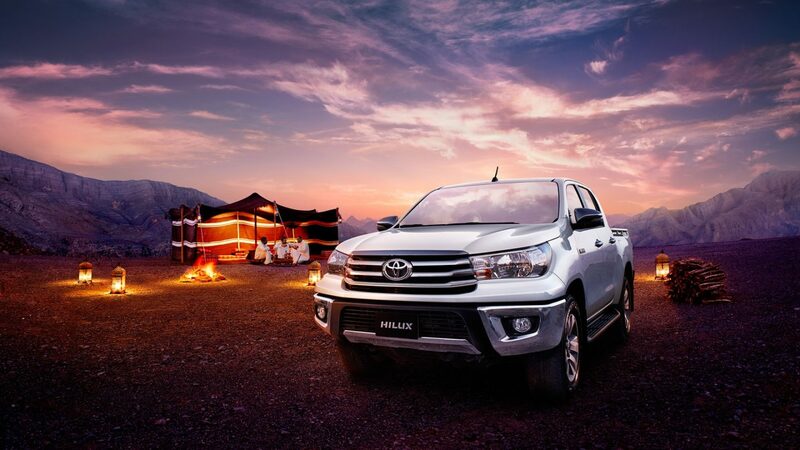 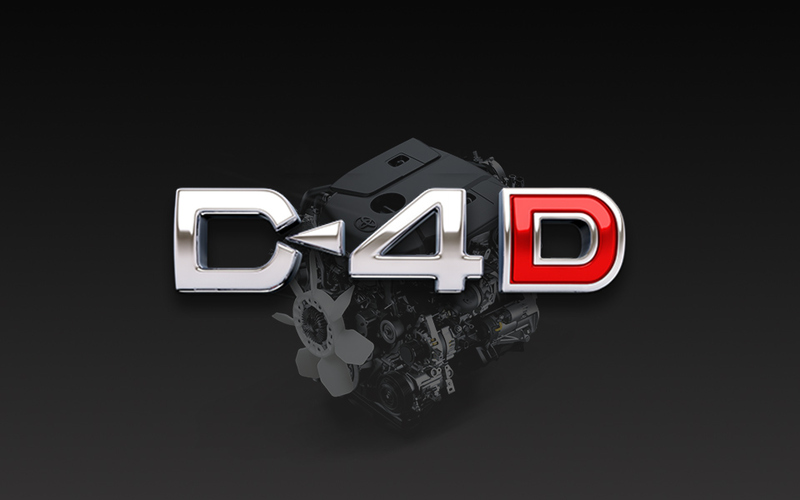 Without trading any of the Hilux’s legendary practicality, durability or reliability. 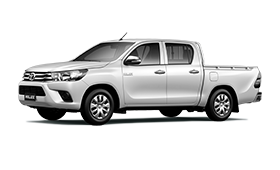 On closer inspection, you’ll discover a new breed of passenger carrying pick-up truck thinking. 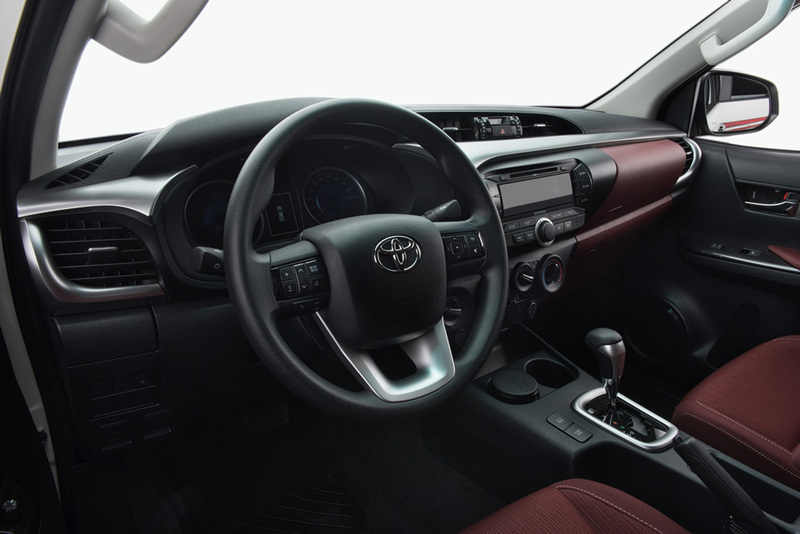 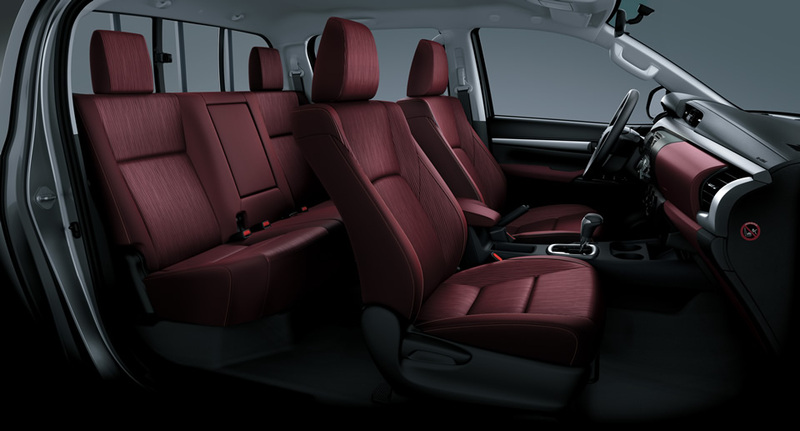 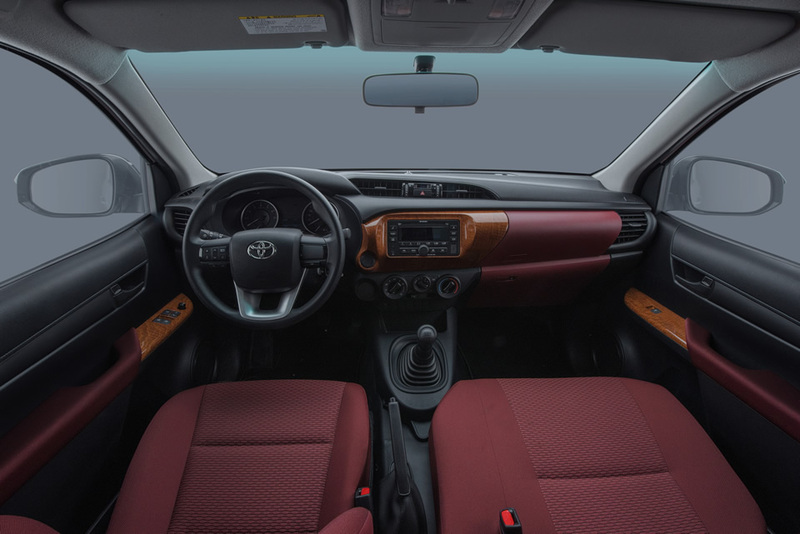 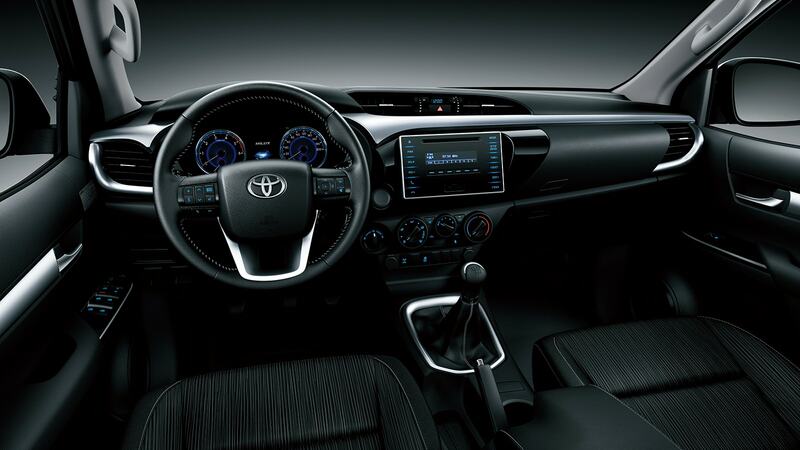 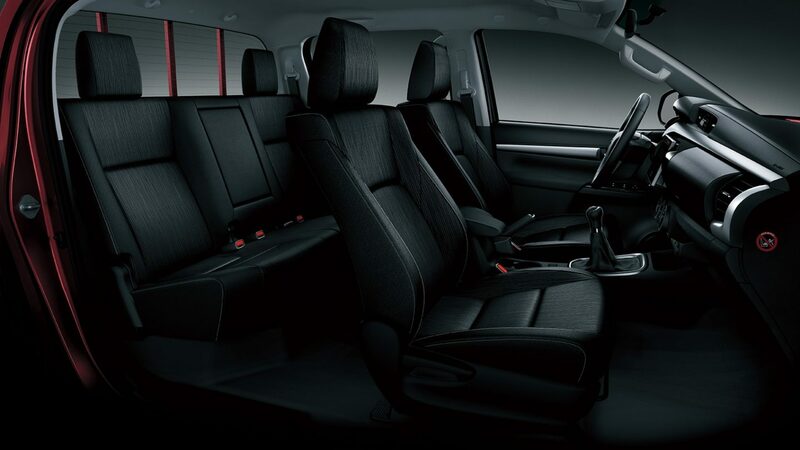 SUV-inspired styling, comfort, and performance are all part of this revolutionary package. Innovative styling fuses a sophisticated modern look with purpose. 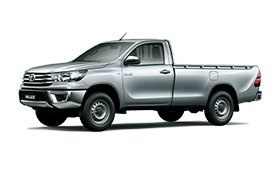 Longer and wider than before, Hilux is amongst the top of its class for size. 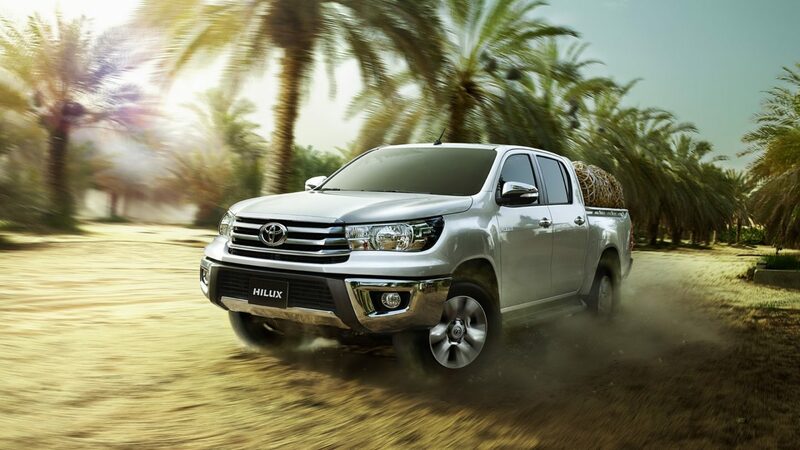 The front face of the new Hilux is modern and sleek. 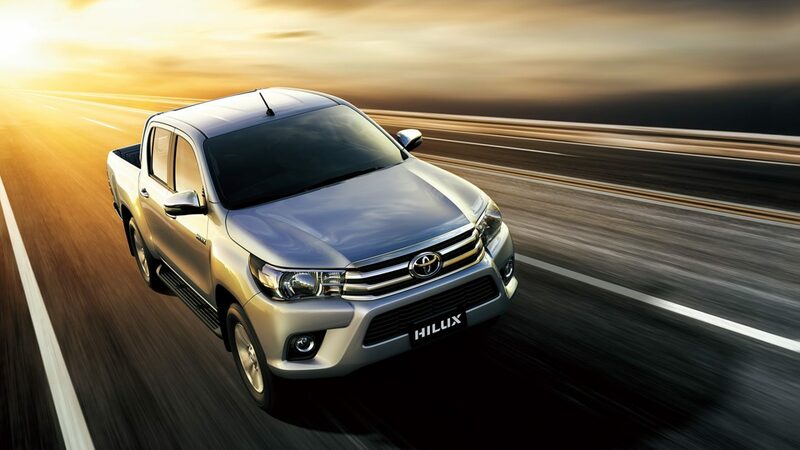 Narrower headlamps blend seamlessly into the horizontal 3-bar grille for an instantly recognizable face. 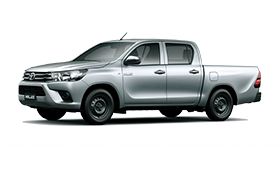 The large trapezoidal lower grille gives Hilux a tough look but is also practical as engine cooling performance is enhanced, helpful when towing. 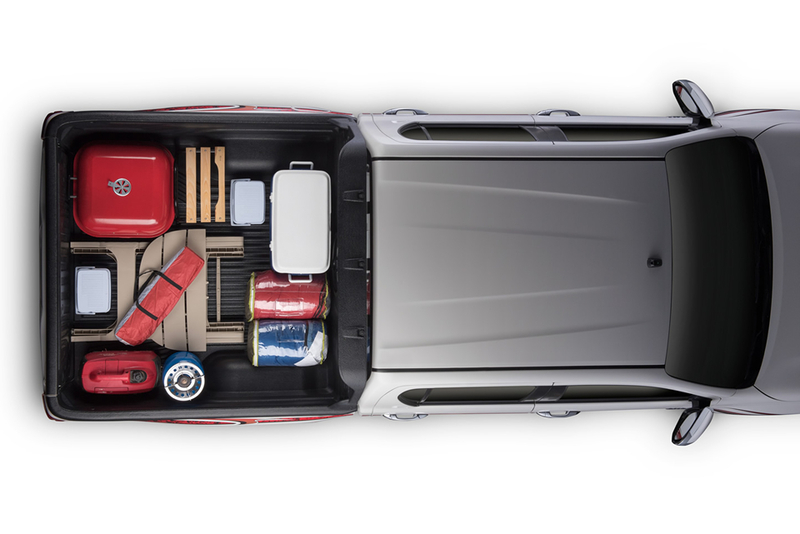 The load deck is extensive and can carry more than ever before. 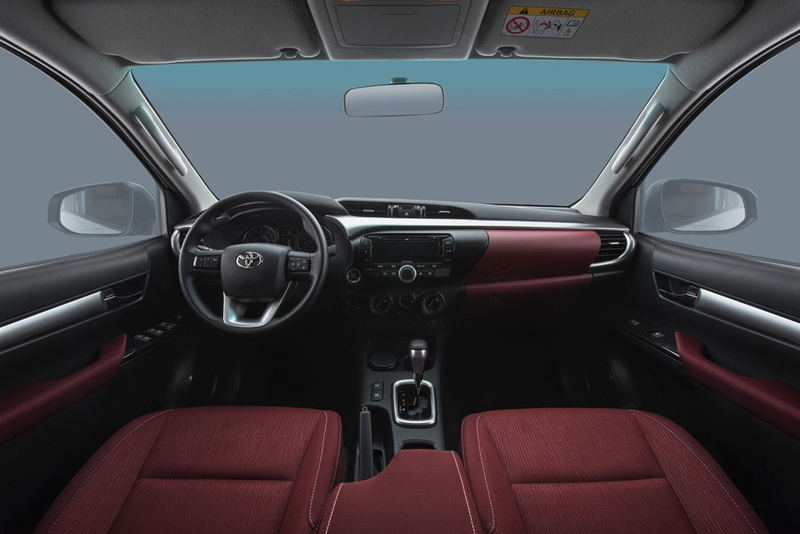 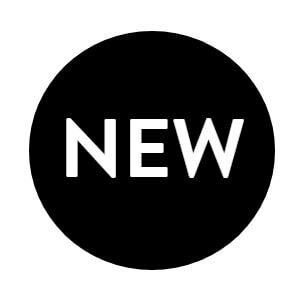 The deck is larger than before (up to 79mm wider and 19mm longer) and is stronger than ever with thicker outer panels, reinforced load deck and stronger header panel. 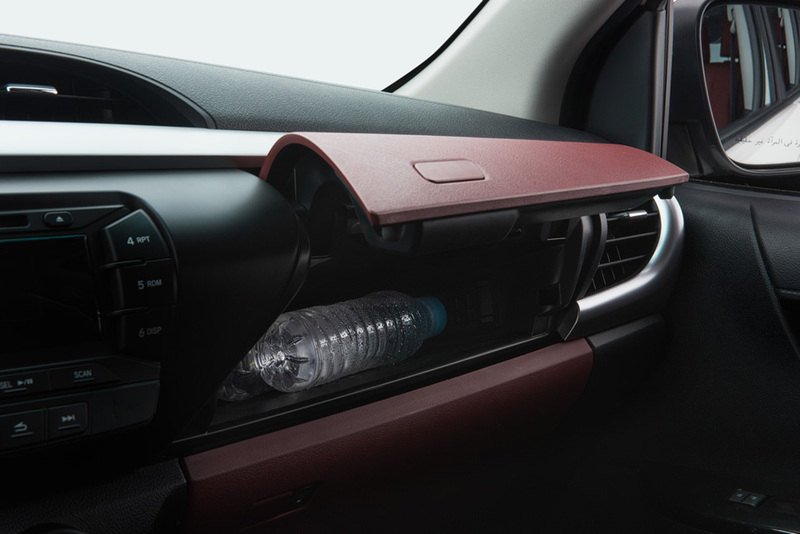 Tie down hooks are now larger for easier use with the “J-deck” load space rim. 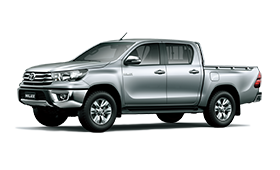 Tie down points inside the deck are also mounted lower for more secure load carrying. 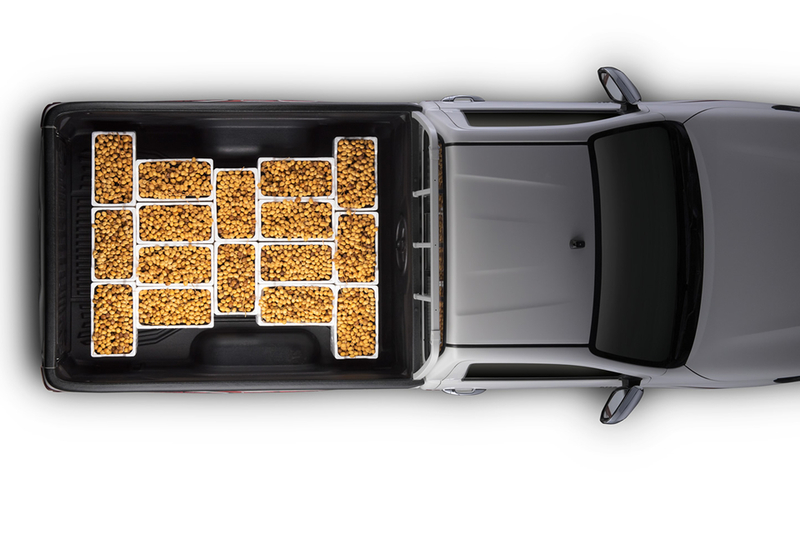 Tailgate struts are now metal plates for greater strength and reassurance when loading across the tailgate.